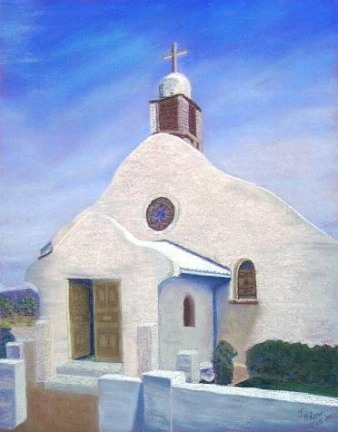 The adobe church in Jemez Springs glows with the light of the New Mexico sun against the intense blue of the sky. *Some differences between the scanned image & the original are difficult to avoid. The actual painting's color is little lighter.